Come learn English with us! 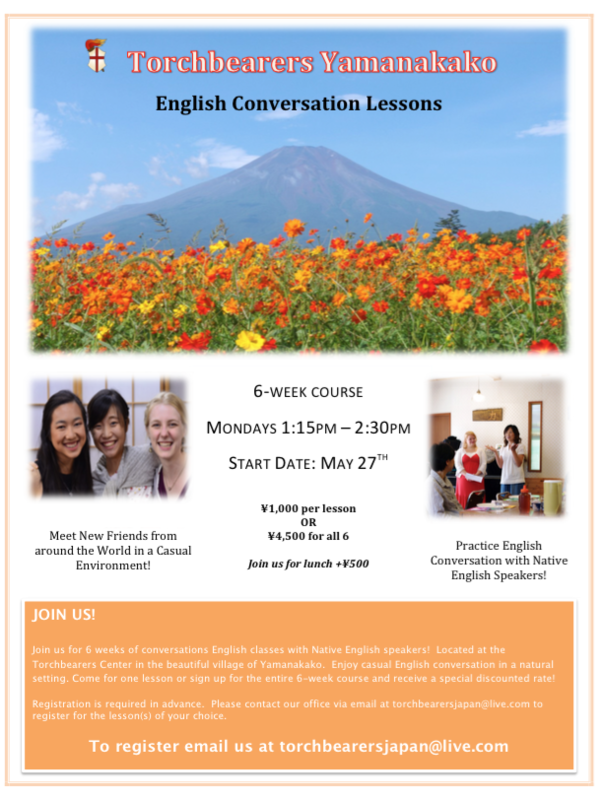 Meet new friends from around the world while learning and speaking with native English speakers. Registration is required in advance. 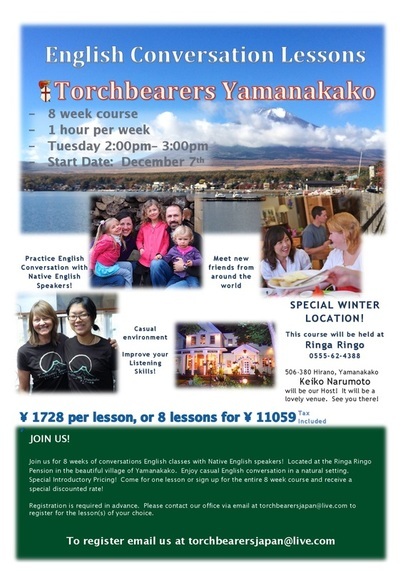 Contact torchbearersjapan@live.com for more infirmation!